The girls and I love creating a variety of holiday food gifts to use in gift baskets for family and friends! We are always on the lookout for something flavorful, kid friendly, and gift basket ready. It makes it even better when we happen upon a quick and easy, holiday food gift recipe that tastes great, stores well and the girl can be proud to present. We bake a lot--and my spice cabinet is loaded with dried herbs and spices--with McCormick spices making frequent appearances. 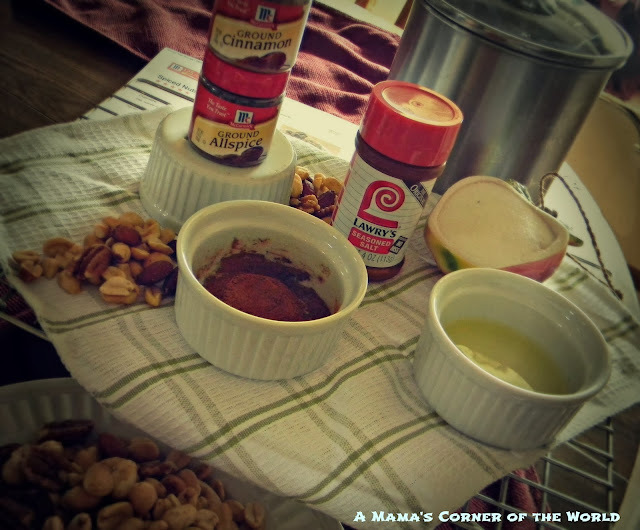 I grew up using McCormick spices in my grandma's kitchen, so when I discovered a quick and easy Spiced Nuts Recipe, I was excited to share it with my daughters--and our readers. 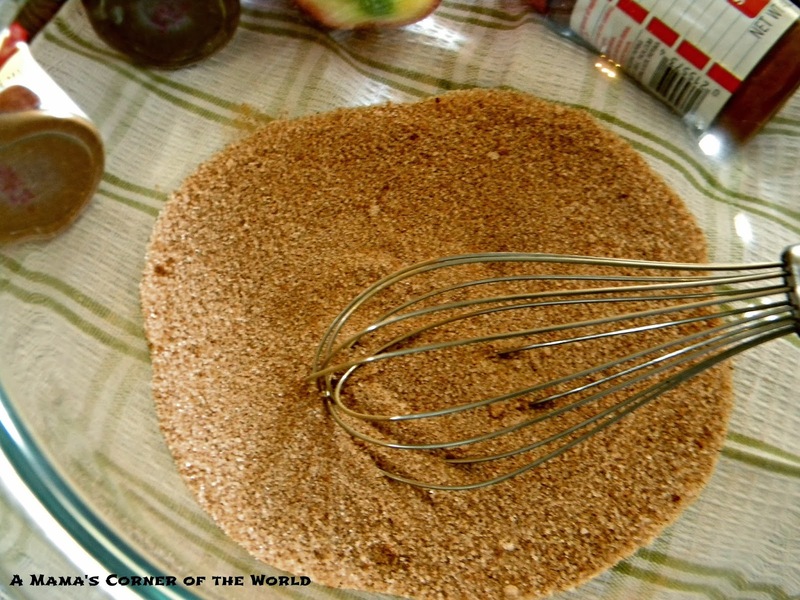 This post was brought to you by McCormick on our blog in 2013. We wanted to update the post this year to include in our 2017 Holiday Idea Calendar--so check out these yummy Spiced Nuts and visit the our 2017 Holiday Idea Calendar to catch up with posts you may have missed and be sure to stop back every day until January 3 for new holiday themed features. I love recipes with just a few ingredients! 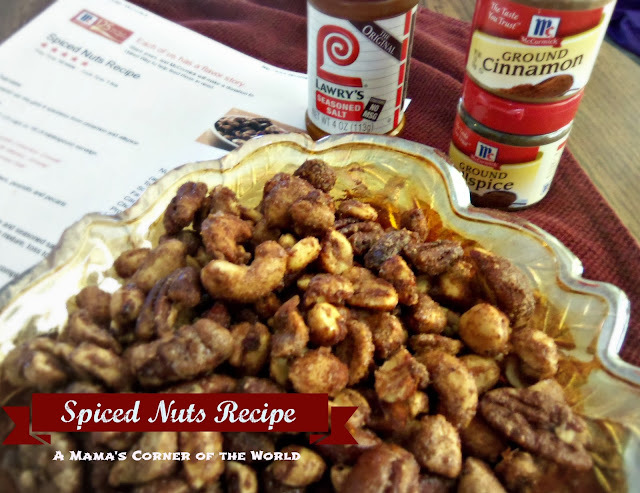 This recipe for Spiced Nuts requires only McCormick Cinnamon , McCormick Allspice , Lawry's Seasoned Salt , Sugar, an Egg White, and Mixed Nuts. 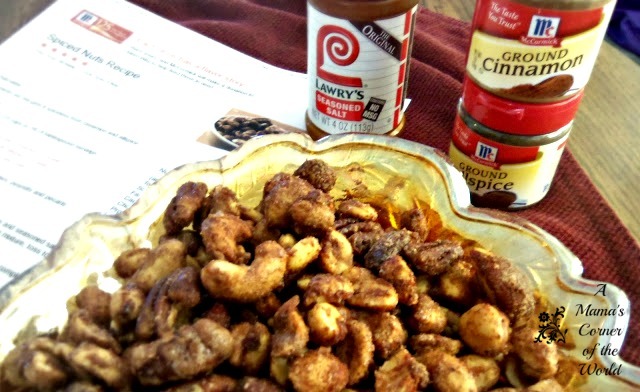 It was so easy to make this Spiced Nuts Recipe! Less than 10 minutes in prep time and an hour in the oven! We measured out the sugar and spices..
Then we simply coated the nuts in the sugar and spice mixture, spread them onto a baking sheet, and baked them according to the recipe instructions from the McCormick website. 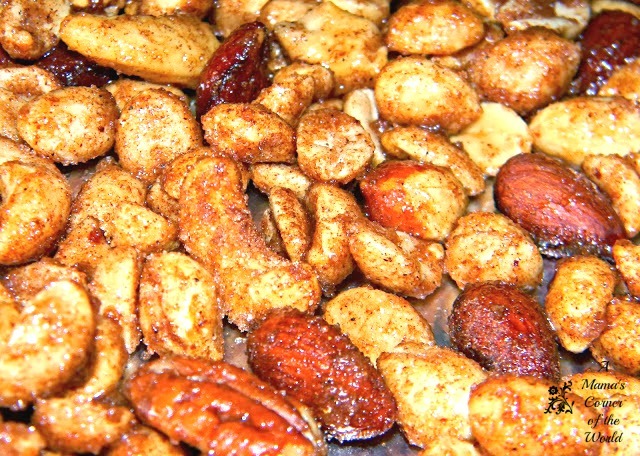 We cooled them slightly, broke apart the candied nuts and resisted the urge to eat them until they cooled completely! 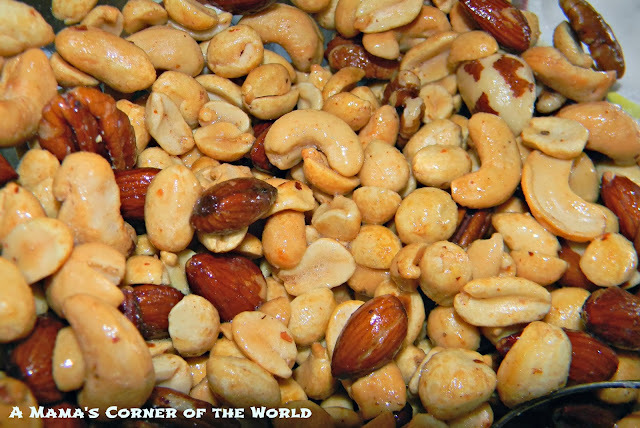 Sweet, salty, and crunchy--delicious! I made the recipe exactly as it's listed on the McCormick Spiced Nuts Recipe. I sprayed my baking sheet with plain cooking spray and used mixed nuts with light sea salt--and these turned out perfectly. I'm looking forward to adding them to my holiday party buffet tables and packing them into gift bags and baskets for gift giving! Make these the perfect holiday treat for parties and gift giving! These can be made ahead and stored in airtight containers for holiday parties, dinners and gatherings. I have served these for family dinners, holiday parties and have sent many batches to school and work potlucks and they always disappear! 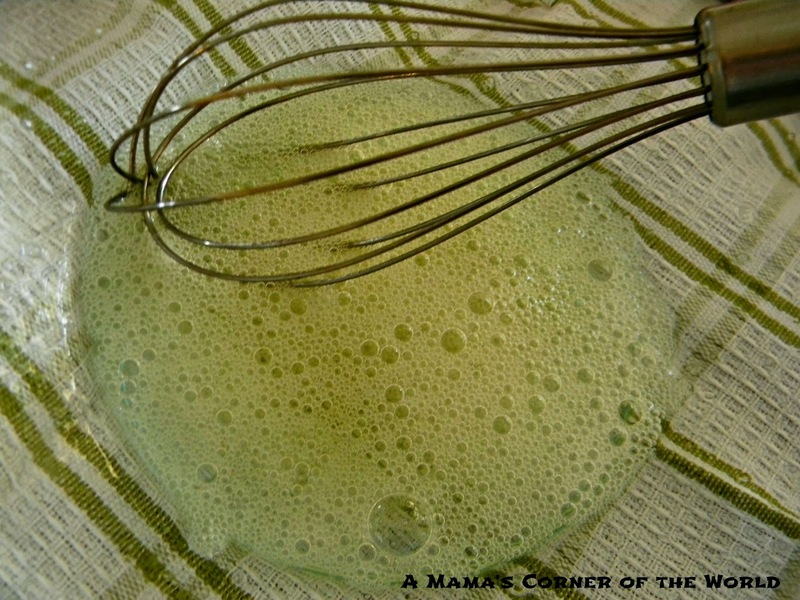 Looking for an easy homemade food gift for the holidays? Make a batch of these Spiced Nuts and package them up into cute, airtight, storage containers and pop them into a gift basket or bag with related items for a homemade, holiday gift. I love these Klikel Square Glass Storage Canisters since they hold nearly a pound of spiced nuts. I tie a holiday ribbon around the neck of the canister, fill it with cooled, spiced nuts and add it to most all of our holiday gifts to family and friends! Disclosure: This post is brought to you on behalf of McCormick--but, all text, opinions and experiences are our own. mmmm YUM! 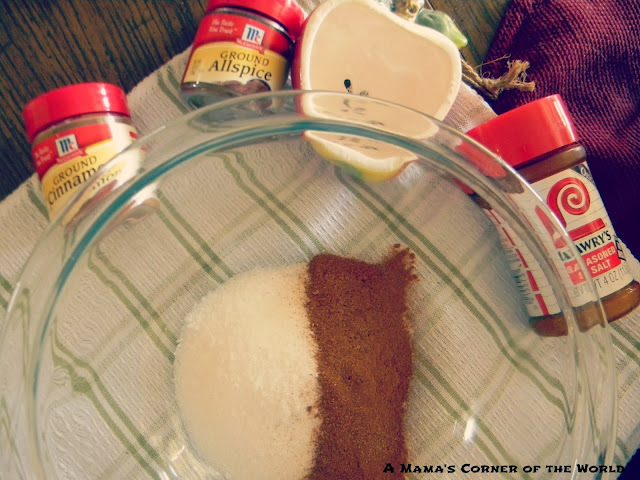 sugar and spice and all things nice ... looks like a delicious treat!